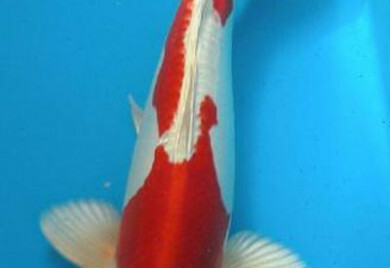 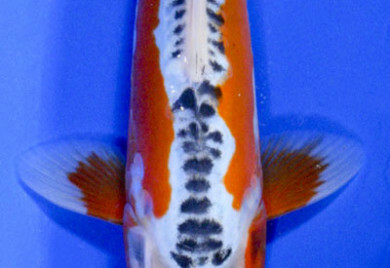 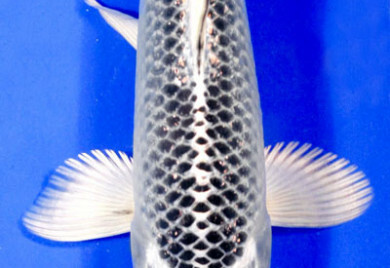 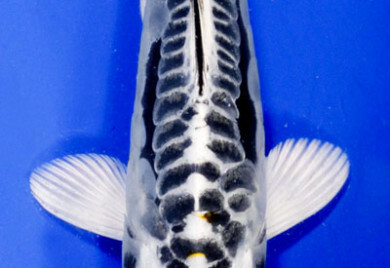 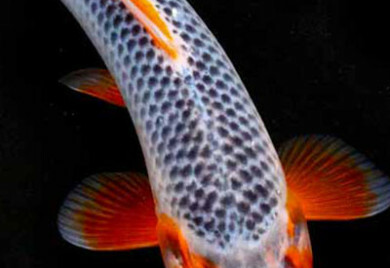 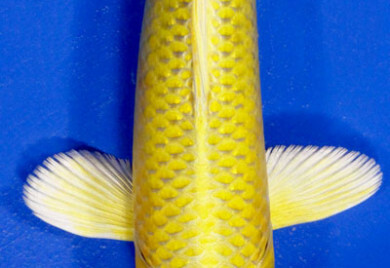 Although technically they are the Doitsu version of Hariwake, scaleless white koi with patterns of orange or yellow are commonly referred to as Kikusui. 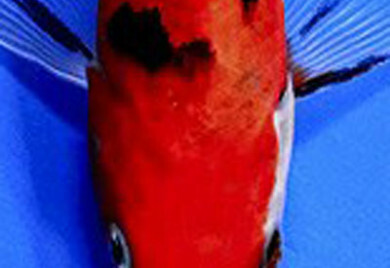 The bright, metallic colors of Hariwake are also present in Kikusui. 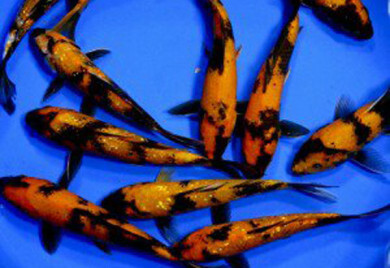 They are a nice contrast to the traditional tri color Koi. 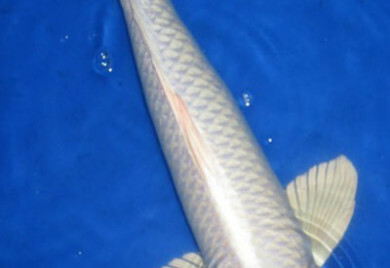 Tancho Kikusui are the sole variation of Kikusui.